locomente...: I Love This One! And here I am posting it as a proud daughter! Really... They are the best! and u shud definitely be proud. this design is amazing, but the question remains, what is this? 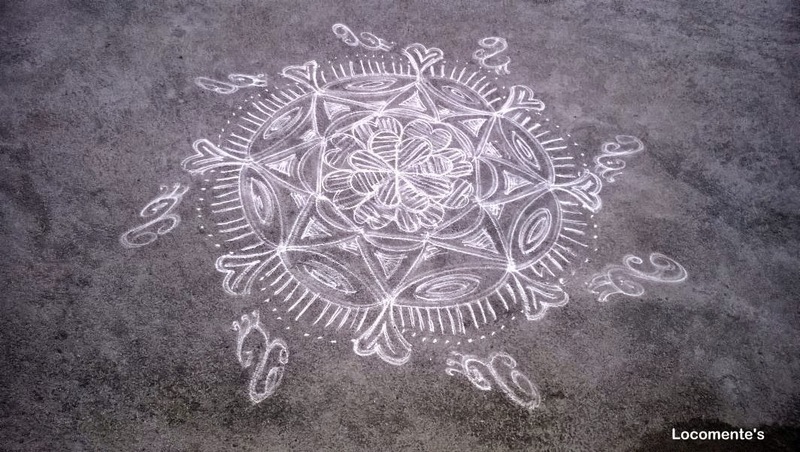 Kolam is a design made by rice powder on the courtyards of Indian homes. Indian women, wash their courtyards every morning and draw a new design everyday, ideally before sunrise, preferably as early as possible in the morning.